This tutorial is focused on fonts and will instruct you on how to change the styling of fonts that are used in the FeedWind RSS widget. 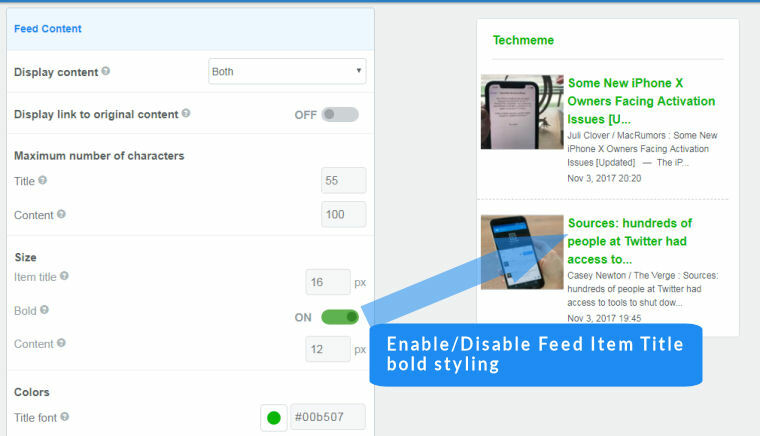 To begin with, there are a standard selection of web-safe fonts in the Feed Title and Feed Content ►Advanced Settings sections of the setup screen. There are many browsers and not all fonts are available as standard in them all but there will be a replacement that will be very similar in style and proportion. This is why “font families” are used, so that standardized font replacements can be specified. 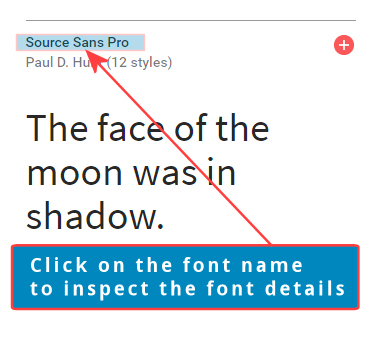 Select the font family you want from the list. Note: You also have the opportunity to alter the size and color in this section, just below the font style dropdown. You can choose a font size for your main widget title in the Feed Title settings section. 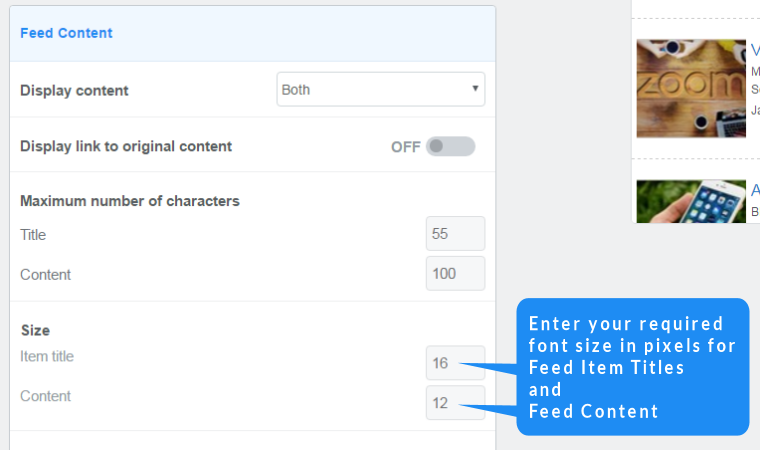 You can choose a font size for your feed content, for both the Feed Item Titles and for the Feed Content in the Feed Content settings section. Enable/Disable bold styling for the Feed Title. Enable/Disable bold styling for Feed Item Titles. 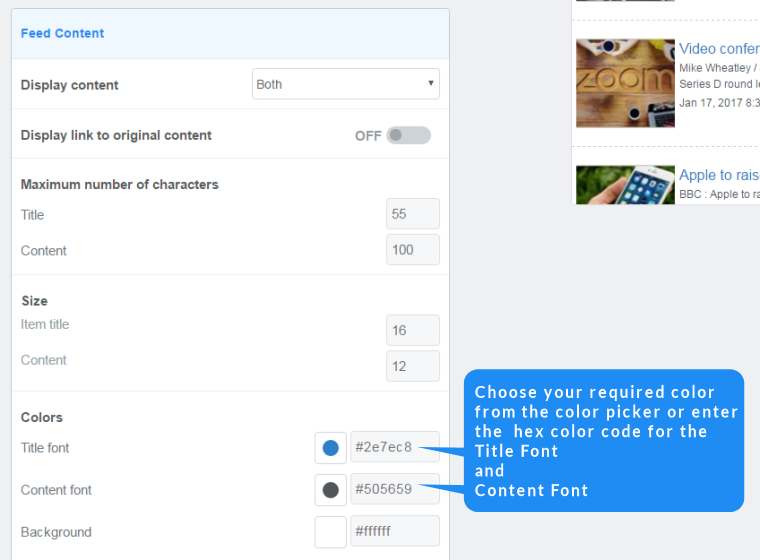 Choose font colors for the Feed Item Titles and the Feed Content by clicking on the color picker ● or entering the hexadecimal color number. 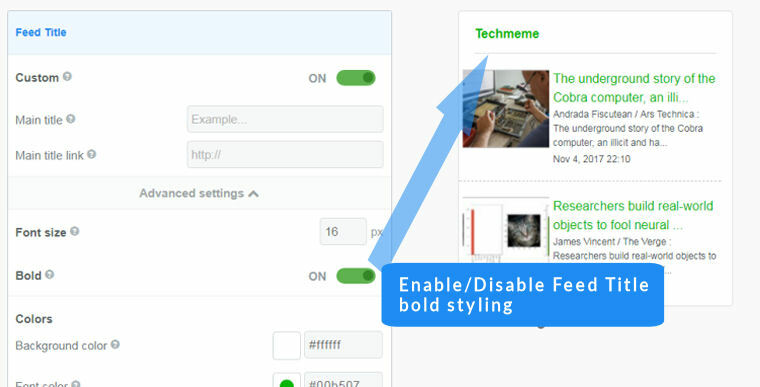 First you need to create a custom CSS file and add the URL to your FeedWind setup screen. Then, to use a custom font in your widget you can add @font-face to the CSS file. This allows you to upload your font file in any of the popular formats for fonts (TTF, EOT, OTF etc..) and allow FeedWind to find and use it. Note:1) The font file needs to be placed on a publicly available server. 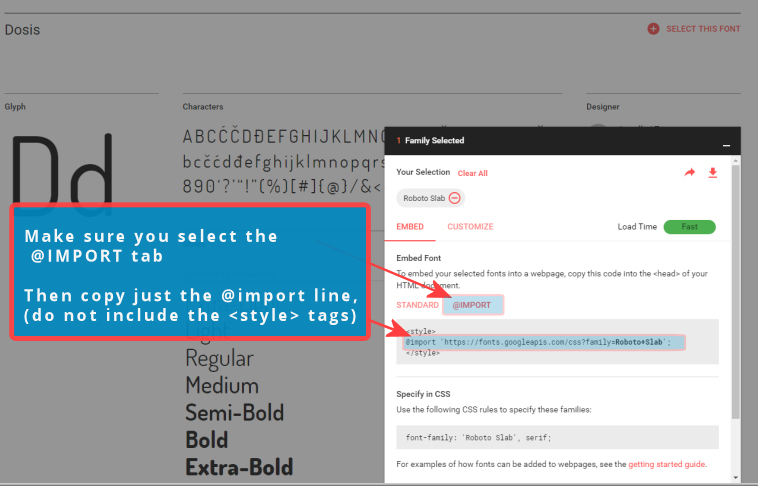 2) To use the custom font in your widget, you will need to specify font-family for the appropriate elements (classes) where you want that font to appear. These classes are all described in our article about custom CSS. Here is an example the CSS required to use a TTF font called “SuperBoldRegular” in your widget. When you have setup your CSS and placed the widget HTML into a web page, the target browser will check out your CSS, look up the font at Google and then integrate it into the style of your widget. See the example below for an idea of how the CSS should look and the resulting widget to the right of the CSS. Multiple Webfonts can be applied by adding extra ‘@import’ values to the top of the custom CSS and applying those attributes to relevant widget elements in the CSS. Our example below is using multiple Google Fonts in the CSS. Tip: If you use an online platform or for any other reason you want to store your CSS file elsewhere, please check out this article on how to use Dropbox to host CSS. If you need assistance with CSS, fonts or any other FeedWind query, please contact us and we’ll help out.